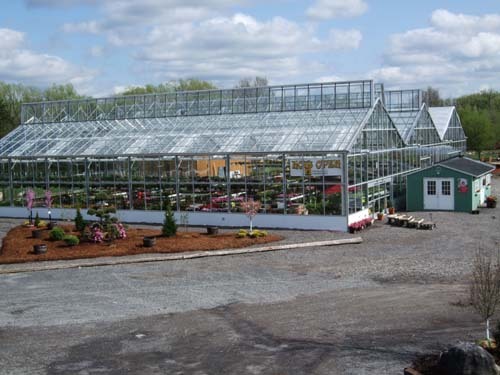 Cross Creek Nursery has been growing and providing quality trees, shrubs, annuals and perennials to homeowners and contractors throughout the Eastern suburbs of Syracuse, NY for nearly 60 years. With focus on helping you to incorporate the best suited plants to your lifestyle and home, friendly, certified staff is happy to assist you in building the foundation for your innovative backyard paradise. What is the Cross Creek Difference? It is Cross Creek people that make the difference and Cross Creek can make a difference in your gardening experience. You will be treated to a diverse selection of exceptional quality plants that are mainly grown here, and outstanding customer service by our well educated professional staff. Why Shop Cross Creek Nursery? We are conveniently located in your backyard. Just a short drive from Syracuse and a stone’s throw from Manlius, Jamesville, Cazenovia, Fayetteville and Chittenango. Pinpoint our location on Google maps. We offer a huge selection of hardy trees, shrubs and perennial well suited to our zones (3-5). Our intimate surroundings offer a relaxing, enjoyable experience in gardening. Fresh new stock is available season long. You’ll find pleasant surprises around every corner, maybe even learn something you didn’t know. Our Staff is professional and formally educated in horticulture, landscaping and forestry. Cross Creek Nursery offers a homeowner guarantee on all trees and shrubs of atleast a year and up to 2 years on much of our container stock as well as many ornamental and shade trees. Our customer service and assistance can’t be beat!